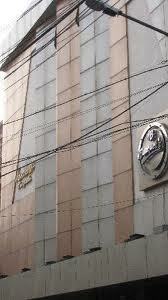 31/2A, Marquis Street, Beside Jamuna Banquets, Kolkata, West Bengal, 700 016. The Mark is under the sequence of budget properties and the group is also serving the city with another three budget class hotels in different location More Info..
163 A, Park Street, , Kolkata, West Bengal, 700 017. Hotel Royal Garden The hotel provides high standards of facilities accommodation and comfort to satisfy our most discerning guests It is also reputed for its More Info..
13 A, Jadu Nath Sarkar Road, , Kolkata, West Bengal, 700 029. Hotel Victerrace Regency an eminent luxurious four storied building with a wide choice of well furnished rooms where service knows no limits located in the h More Info..
52/1, Hazra Road (Near Ballyguange Phari), Hazra Road, Kolkata, West Bengal, 700019. 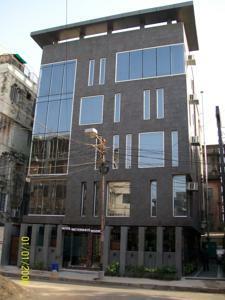 Relax Inn is a newly launched property inaugurated on 11th November 2011 offers an extended range of super luxurious services to the guests The service and co More Info..
73 Southern Avenue, Opp. Medinova, Kolkata, West Bengal, 700029. Southern Plaza We offer a new standard of hospitality in the city all the amenities and charm of a warm country home with top of the line services at the be More Info..
Terminus, B.G 12 Action Area, 1-B, New Town, Rajarhat,, Kolkata, West Bengal, .. 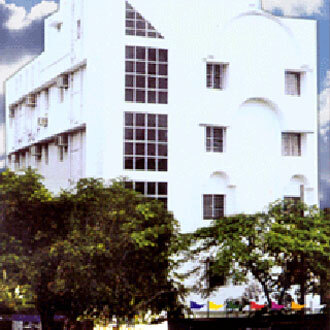 The Pride Hotel Kolkata Situated in business core of the Kolkata city The Pride is located in close proximity to the eminent corporates and within the easy ac More Info..
15, Lindsay Street, Opposite New Market, Kolkata, West Bengal, 700 087. Sapphire Suites encircled with twenty nine centrally air conditioned luxurious rooms offering the most practical and modern amenities for corporate guests More Info..